John Patrick Bedell was a brilliant and seemingly gentle computer whiz, yet so withdrawn that people in this rural community where his parents and grandparents are civic leaders knew little about him -- until he opened fire at the Pentagon this week. Family and friends now paint a portrait of a troubled man who sank deep into mental illness and anti-government rants, even as his mother -- a nursing instructor -- tried to seek help. "The family tried over and over to get him into some kind of treatment, but because he was an adult, they were restricted," said Reb Monaco, a family friend for three decades. "Patrick himself was in some sort of denial." It is still unclear why Bedell opened fire at the Pentagon entrance Thursday -- wounding two police officers before he was fatally shot -- though he had railed on the Internet about his distrust of the government and his distaste for marijuana laws. "We may never know why he made this terrible decision," his devastated family said in a statement Friday. "One thing is clear though -- his actions were caused by an illness and not a defective character." Bedell, 36, a graduate student in electrical engineering at San Jose State University, was diagnosed as bipolar, or manic depressive, and had been in and out of treatment programs for years. After a 2006 marijuana and resisting arrest case in Orange County, Calif., his psychiatrist said Bedell tried to self-medicate with pot, inadvertently making his bi-polar disorder symptoms more pronounced. In a letter to the court in 2008, Bedell explained: "I was experiencing an episode of mental illness... which subsequently led to psychiatric hospitalization. I do not have any record of threatened or actual violence prior to this incident, and I am deeply sorry..."
Bedell lived here with his parents in a gated golf course community. His mother Kaye is director of the nursing program at Gavilan College. His father, Oscar John Bedell Jr., is a private financial adviser. "In my opinion, they are the typical American Family," said Pat Loe, a county supervisor who has known the family for 30 years. But John Bedell disappeared at least twice recently from his parents' home. On Jan. 3, a Texas Department of Public Safety officer stopped him for speeding near Amarillo, smelling of marijuana and saying he was heading to the East Coast. Bedell acted strangely, sitting on his knees by the roadside and turning off his cell phone whenever it rang. After his mother called, the officer asked to speak to her. A patrol spokesman declined to reveal the conversation Friday but said Bedell was cited for possessing drug paraphernalia and released. Bedell's mother told Monaco, the family friend, that she had wanted her son taken to a mental institution. "But they couldn't because he is an adult and he refused," Monaco said. The next morning, fearing for their son's well-being, Bedell's parents filed a missing person's report. Within days, Kaye Bedell found a message on her son's computer indicating he had spent $600 at a gun store or shooting range in El Dorado County, east of Sacramento. She was afraid he had purchased a gun or ammunition, said San Benito County Sheriff Curtis Hill. When Bedell returned to his parent's home Jan. 18, he would not say where he had been, Hill said. Then he left for parts unknown. On Feb. 1, authorities say he was arrested in Reno, Nev., with more than two ounces of marijuana in his car but no weapons. Internet postings suggested Bedell was fascinated with conspiracy theories, computer programming, libertarian economics and the science of warfare. In a 28-page document, Bedell proposed in 2004 that the Pentagon fund his research on smart weapons that might "provide significant new capabilities for the Department of Defense and the individual warfighter." 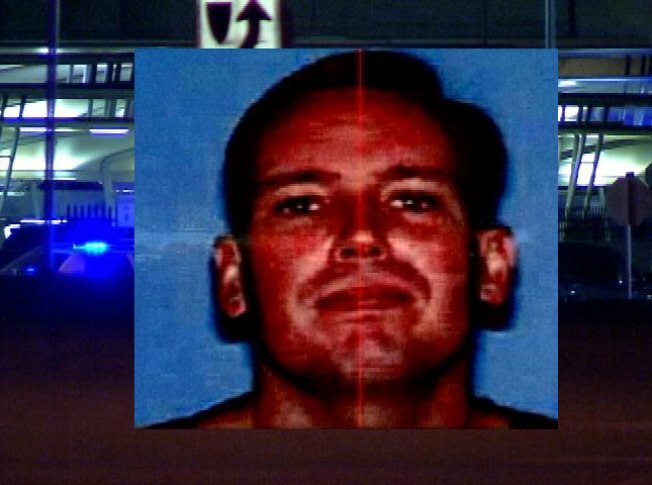 On the day of his Pentagon attack, the six-foot tall, blue-eyed software devotee approached the entrance, then opened fire with a 9 mm handgun, wounding two officers. He was mortally wounded. Bedell seemed an unlikely gunman to David Parent, a professor of electrical engineering at San Jose State University, who knew him as a gentle, star student -- "somebody seeking to help others." Associated Press writers Matt Apuzzo and Devlin Barrett in Washington, D.C.; Danny Robbins in Dallas; Juliana Barbassa and Marcus Wohlsen in San Francisco; Haven Daley in Hollister, Calif.; Gillian Flaccus in Orange County; and Scott Sonner in Reno, Nev., contributed to this report.